Most people believe that alcoholism is a consequence of negative behaviour and that those affected are somehow weak or of poor moral character. The stigma attached to this illness means that society views it in a poor light and those with no experience of it will not understand that addiction is, in fact, an illness of the brain. An illness that can affect absolutely anyone. The sad truth is that anyone who consumes alcohol can become addicted to the substance. Nobody actually decides to become an alcoholic. It is important to remember that alcoholism is a serious illness that can destroy lives, and not just the life of the person directly affected. As with all addictions, alcoholism changes the way the brain functions and it often results in the affected individual becoming selfish and manipulative as he or she tries to satisfy the intense cravings they are experiencing. So, Who Is Affected by Alcohol Addiction? It is difficult for unaffected individuals to understand the illness that is alcohol addiction, mainly due to the fact that alcohol is seen by most as a substance to be enjoyed socially with friends and family. Alcohol is not only legal but it is also widely available; for the most part, it is mostly enjoyed in moderation by adults across the world. Nevertheless, one must remember that alcohol is a toxic, chemical substance that has been linked to many physical and mental health conditions. When abused, alcohol can adversely affect health and can, in some instances, lead to premature death. In the United Kingdom, the recommended guidelines for safe alcohol consumption are currently set at fourteen units per week for both men and women. These guidelines were introduced in January 2016, when the limit for men was reduced from the previously recommended twenty-one units of alcohol per week. With more information to hand due to many studies and much research regarding the dangers of alcohol consumption, the Government felt it was the right time to review the existing guidelines. At the same time, they also issued recommendations that adults have a number of alcohol-free days each week and that pregnant women abstain completely from drinking alcoholic beverages until after the birth of their baby. So, who is affected by alcohol addiction? It is easy to think that with the current recommended guidelines that nobody would drink more than fourteen units per week. Unfortunately, though, this is not the case. Many individuals continue to consume their entire weekly allowance in just one sitting, going on to drink even more throughout the week. Some people drink alcohol every day, consuming far more than the recommended amount. The reality is that regular consumption of alcohol can increase an individual’s tolerance levels, which ultimately means that he or she will subsequently need more alcohol each time to achieve the desired effects. This can lead to physical dependence as the body begins to adapt to the presence of alcohol and expects its arrival. However, at this juncture it is prudent to mention that not everyone who abuses alcohol will go on to develop an addiction. Many adults across Britain are guilty of alcohol abuse when on a night out with friends. Lots will drink far more than they should and suffer immediate side effects, including a hangover the following morning. This does not mean the affected individual is going to go on and develop alcoholism. Family History of Addiction – Individuals with parents who suffered from addiction are more likely to become addicted than those who grew up in a home where this illness was not present. Scientists have discovered that genes are responsible for around half of the total risk for alcoholism. Statistically, if a biological parent suffered with alcoholism, their children will be four times more likely to go on to develop alcoholism than someone with non-alcoholic parents. Traumatic Experiences – Traumatic events in one’s life can increase the risk for alcoholism. People who have suffered trauma in childhood may go on to use alcohol as a coping mechanism in the future. Traumatic events can include things such as being bullied; the death or incarceration of a parent; physical, sexual, or emotional abuse; domestic violence; witnessing combat; or, living in a home where mental health problems exist. The more traumatic the event an individual experiences, the higher the risk of alcoholism. Environment – Unbelievably, environment can also play a role in whether a person will be affected by alcoholism. Where a person grows up and various factors such as their relationships with friends and family can play a part in the development of alcoholism. 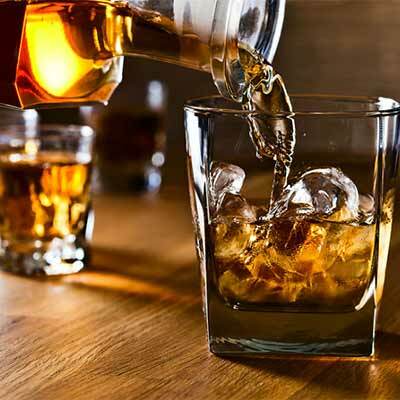 Quality of life, peer pressure, stress and socio-economic status are all contributing factors in increasing the risk for alcoholism. Age – The earlier a person is exposed to alcohol, the more likely that he or she is to develop an addiction. Many alcoholics will have started drinking before they were of a legal age to do so. Mental Health Problems – Those with mental health problems such as chronic depression, anxiety disorder, post-traumatic stress disorder (PTSD), bipolar disorder, and attention deficit hyperactivity disorder (ADHD) are more likely to suffer with alcoholism than those without such problems. While the above factors increase the risk for alcoholism, it is important to be cognisant of the fact that this is not guaranteed. Some people will become alcoholics without having any of the above while at the other end of the stick some individuals with every single factor listed above will never be affected. However, what it does mean is that absolutely anyone can be affected by alcoholism. Nobody chooses to become an alcoholic and it is not the result of a lack of willpower or any sort of moral failing on the affected individual’s part. It does not affect people because they are ‘bad’ or ‘weak’. It is a chronic illness in the same way that high blood pressure or diabetes are. This is important to remember whether you or a loved one is affected by alcohol. The way in which alcoholism is viewed often prevents people from seeing this illness for what it is. It is true that drinking alcohol is a choice – initially. However, as time goes by, those who go on to develop a physical dependence will have less and less choice over their ability to stop drinking. Over time, the brain changes with the continued alcohol consumption. This then affects the individual’s ability to make good choices. His or her actions begin to be controlled by alcohol and he/she feels strong cravings for it when not drinking. At this point, the person is addicted and has little or no control over their alcohol abuse. Even if he or she realises that they are affected, it will be extremely difficult to stop. When alcoholism develops, the individual will probably experience withdrawal symptoms whenever he or she is not drinking. The person in question could find that he/she needs to drink more and more alcohol to achieve the desired effect and will probably be unable to stop drinking once they start. Other areas of their life could also start to be neglected and the illness will start to have an impact on relationships, work, and their health. 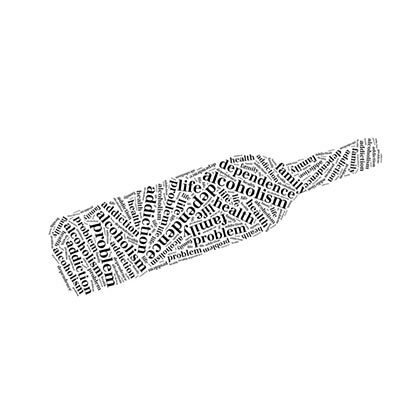 What Impact Does Alcoholism Have on a Person’s Life? There are many ways in which alcoholism can affect the life of the individual as well as the lives of those closest to him/her. As the illness develops, the alcoholic will begin to neglect important duties in favour of drinking alcohol. He or she will undoubtedly experience many of the short-term side effects of alcohol abuse such as slurred speech, poor coordination, delayed reflexes, and nausea or vomiting. Hangovers or withdrawal symptoms may also be a problem, and dealing with these side effects can have a massive impact on everyday life. Coping with the withdrawal symptoms of alcoholism can affect the individual’s ability to take care of responsibilities and can also lead to poor diet and a lack of exercise. There are also other consequences of alcoholism that will affect the affected person’s life. The more alcohol consumed, the greater the chance of encountering legal problems. An addicted person is more likely to get involved in physical altercations, become disorderly in public, or drive under the influence. 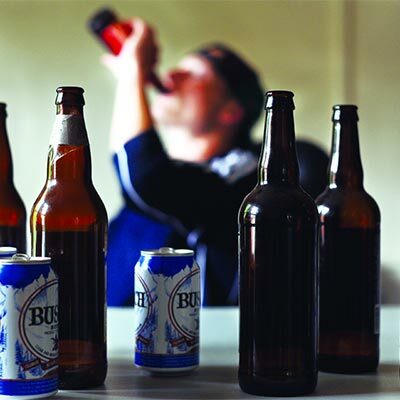 In the early days of alcohol abuse, the individual will still have a measure of control over his or her consumption. However, as time goes by, he or she will begin to make alcohol a priority and it will become increasingly more important to them. So much so, that it will become all-consuming, affecting their home and work life. Another point to mention is the effect that alcoholism can have on finances. Funding an alcohol addiction and the impact that this illness has on the person’s ability to perform well at work can all lead to financial troubles. As well as the cost of funding the addiction, there is a common problem of lowered inhibitions and poor decision making while under the influence of alcohol. Those who are intoxicated are much more likely to go on spending sprees, either in person or online, which often results in them buying things they would never have considered when sober. When considering the impact that alcoholism can have on the life of the individual, we cannot forget the impact on health. There are many short- and long-term side effects of alcoholism; in fact, alcohol abuse has been linked to hundreds of health conditions. It is directly linked to heart disease, liver disease, pancreatitis, anxiety disorder, depression, and some forms of cancer. It is also one of the top three causes of premature death in the UK. Could You be at Risk of Alcoholism? While most adults consume alcohol to some degree, there are some who are more prone to developing alcoholism than others. It is impossible to diagnose alcoholism with a blood test or physical examination, but experienced doctors and counsellors can quickly spot the signs and symptoms, provided the individual is honest about his or her consumption and behaviour. It is also common for those affected by alcoholism to be in denial about their problems. Many times, it will be friends or family members who are worried about an individual’s alcohol consumption and who raise the issue long before the affected person does. Some individuals will brush off concern from concerned relatives or friends for years before being able to finally accept that he or she may have a problem. If you are worried that you may have a problem or be at risk for alcoholism, it is vital that you take an honest look at your life and your alcohol consumption. Think about how much alcohol you consume on a daily or weekly basis. Ask yourself if you have been steadily increasing your alcohol intake in recent months. If you are regularly getting drunk, then you may have a problem. You should also think about your actions when it comes to alcohol consumption. Do you feel guilty about the amount of alcohol you drink and do you try to hide it from your loved ones? Have you taken unnecessary risks such as going to work or driving under the influence? Do you regret things you have done while intoxicated? Think about your life and how you view alcohol. If you have tried to quit or cut down in the past but found yourself unable to do so, it could be that you have a physical dependence. If this is the case, it is time to take stock of your life and do something about it. Reaching out for help now could make all the difference. The sooner you accept that alcohol has become a negative force in your life, the sooner you can turn things around. The good news is that help for alcoholism is available across the UK. Contact us here at Addiction.org.uk for more information on how to access the help you need to recover.